Scar formation is the natural part of healing process of skin when it is traumatized. Scarring indicates that the wound has healed. Scarring is rarely a health concerned but it can affect one’s confidence and self esteem. Common types of scar are acne scars, burn scars, post surgery scars, chicken pox marks, injury marks and stretch marks. Scar can also be due to chronic skin conditions like eczema and psoriasis, breast implant/reduction surgery and Caesarean birth. Size and characteristics of scars depend upon depth and size of wound, incision and location of injury. It also depends upon your age, heredity and how your skin reacts to injury. 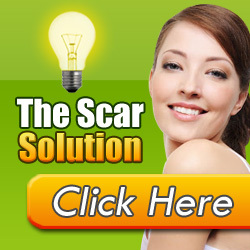 Scar will never go away but there are some methods that can help in reducing the size and appearance of scars. There are many treatments available to reduce the appearance of scar. Companies’ promote different types of cream, lotions claiming disappearance of scar but claims often been false. Other options are Cosmetic and surgical procedure like graft, excision, dermabrasion, laser surgery and steroid injections. These options are very costly and may be out of reach for many and also do not guarantee removal of scar. In addition these medical treatments can have their own side effects on the skin. To get the best result it is better to treat the scar at the earliest to prevent them from permanently residing on your skin. Once your skin appears to have been healed and scar is formed; your skin is still busy below the surface ‘remodeling’ your skin. Depending upon the size and shape remodeling phase of skin may take up to 2 years. To fade and minimize the scar, you need a treatment that can fast track healing process through final remodeling of skin, pushing your scarred cells on the surface and increase the production of normal cells to replace the scarred cells. Dermefface FX7™ scar reduction therapy is a natural process that works with the skin’s 28-day regeneration process. This is one of the products which has scientifically advanced and clinically proven active ingredients, moisturizers and anti-oxidants that can fade and even minimize the scars. Dermefface FX7™ stimulate a healthy balance of collagen production, push ‘scarred’ skin cells to the surface where they’re sloughed off and replaced by normal, healthy, vibrant and scar-free skin cells. This can be used on almost all types of scar except keloid scars. For keloid scars treatment you should discuss with your medical professional. Dermefface FX7™ is luxurious, non-greasy, fast-absorbing cream and should be applied twice a day on your scar to get the results. This cream flattened and smoothed the scars and fades the redness and discoloration skin. It penetrates deep in the skin, moisturizes the skin, reduces the aging of skin around scarred area and also gives relief from itching and flakiness. This may give result anywhere between 90 days to 6 months depending upon the size and depth of the scar.Dermefface FX7™ comes with 90 days money back guarantee.